A reshaping of the head writing team in Salem could save “Days of Our Lives” (Days) from the cancellation bubble. Days hired former “One Life to Live” and “General Hospital” head writer Ron Carlivati as top scribe at “Days of Our Lives” (Days). The network let go Dena Higley, who had been co-head writer at Days since 2015. 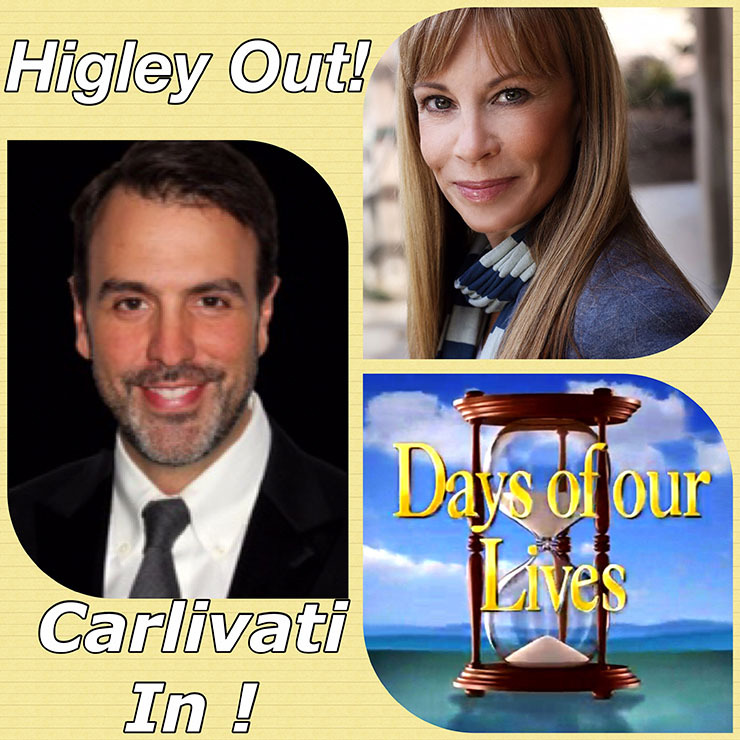 It renamed Higley’s head writing partner, Ryan Quan, “story consultant.” And, it brought on former, famed Salem head writer Sherri Anderson Thomas to the show as a story consultant, reported Soap Opera Digest. Several months ago, Days let go Josh Griffith as part of the show’s head-writing team. “We look forward to the fresh and compelling stories these changes will bring to Salem,” the show said in a statement. Scroll down to see Carlivati and Anderson Smith’s Tweets about their excitement at returning to daytime. Dena Higley too responded to Twitter follower asking why she has gone back to Days after being fired more than once, which you can also see below. Soap Cities has written of the many reasons rumors of a Days cancellation are untrue. Broadcasting and cable industry publication The Wrap agreed with us. When Carlivati was head writer at “One Life to Live” (OLTL), the show enjoyed high ratings. For reasons still unclear, then head of ABC Daytime Brian Frons canceled OLTL in 2012. ABC then tapped Carlivati to helm “General Hospital’s” writing team. He revamped the show by honoring Port Charles history, bringing back beloved characters, and writing umbrella storylines. We at Soap Cities believe he will be a similarly positive force over at Days too. It’s great to be coming ‘home’! Looking to a bright future! @TweetsByBranden Well I don’t hold the record but it’s a valid question. Don’t worry. I won’t be back. Ever.